2005 was the date when Patanjali was introduced to the world by the famous yoga Guru Swami Ramdev with a common view to developing the food and hygiene habit of Indian nationals but the good work flourished throughout the glove and now the company stands Indian 5000 Crore Indian rupees or US $740 million dollars tall which is totally unbelievable. The brand has established itself as a household name in all Indian market as well as in the western world. The company now needs no introduction and has its hands on every consumable product that are used by people. Despite being a non-profit oriented business the company is making unbelievable progress in entire south Asia including Europ and America. The fame of this company rose to its heights overnight when people all around the globe were searching for an option of goods which is produced keeping in mind the concerns regarding vegetarian life as well as animal synthesised goods which are likely to be discarded by the whole human race as we are making progress and thinking beyond specism. Is Baba Ramdev capitalizing from his fame? The Guru is certainly not capitalizing on his fame and is working every day continuously to add more healthy products in the list of his commonly accessed products. But there are innumerous glitches in the process of making which has affected the company adversely as well. The guru was once sued under Indian tax issue which later ended up in a hunger Strike for Baba Ramdev. Though the company was supposed to be a non-profit oriented organization it touches profit margin of over one thousand Crores which is a little disturbing for the entire government of India. Two of the basic names that Patanjali casts as its founders are Baba Ramdev and Guru Balkrishna who is a Nepalese citizen by birth. The yoga camps, as well as selfless attitude of Baba, has made people believe that the company does good things for its consumers and so far it has not only claimed but proved its values to the common consumers. What is the issue with Beta Buti? There were certain issues that flourished the prejudice regarding Swami’s nature which includes his latest herbal formula called “Beta Buti” which literally means a herbal formula to have Sons, which was proved to be great success and was bought by almost all stereotypes who thought the son is important for family’s pride which ended up in a lawsuit against baba by many women activist organizations which later was addressed by Swami as a tonic and energy solution, which had nothing to do with giving birth to Sons. 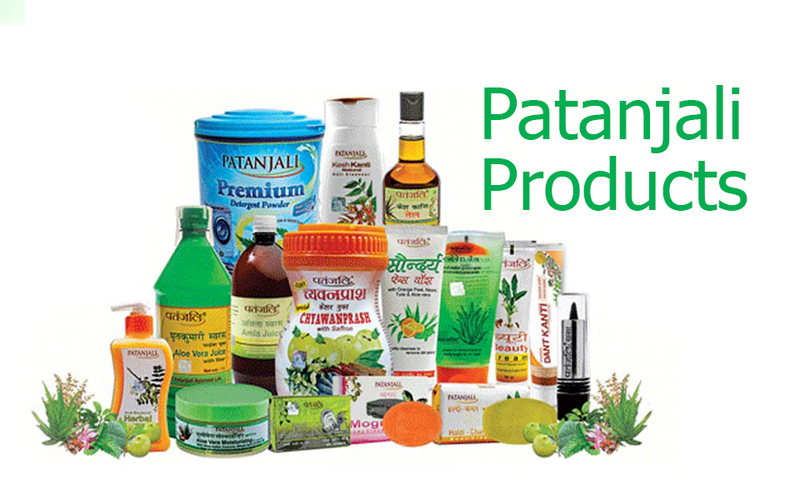 The price at which Patanjali is offering its goods to all Indian, as well as outside market, is incredibly unbelievable, which has made the Patanjali products a common liking of Indian consumers. The products are claimed to be herbally prepared and there have been no complaints about adversity so far. Swami Balkrishna is a follower of Ramdev who is said to be an Ayurveda graduate which was later obliged and questioned by the ministry of education in India which is yet another controversy still prevalent in India. And if this is proved that Swami Balkrishna is an uneducated ayurvedic practician who is selling everything he can to common people randomly then it can also be a medical issue to all of the consumers who follow Patanjali but so far it looks as if it was just a propaganda put forward by government to shake the growth of Patanjali. The business policy of Patanjali is a little different than other Grocery products found in a normal stores, It establishes its own shops and sells memberships as well, and if a consumer wants to use the Patanjali products he/she has to visit the nearby store and buy the products and this only looks difficult but is a very practical method as on today’s date Patanjali has been able to cater every second subway in India and Nepal. The headquarters of Patanjali Ayurved Limited is in the holy city of Haridwar and on today’s date the net worth of the famous Ayurveda company is around IC 5,000 crore. So, according to Yoga Guru the whole company is seen with adversity by other multi-billion dollar company as they try to overthrow Patanjali by all means which is totally supported by corrupted government officials in India, which in either way cannot be proved. The Multi-million dollars company has spread its roots to the Himalayan nation Nepal as well. It is a non-Profit oriented company introduces by former minister of Nepal Mr. Upendra Mahato on 27 September 2007, in Swayambhu Nath area Kathmandu which has forced its way to all parts of Nepal since its establishment. The company has faced a lot of music after being introduced to the Nepalese Market. But the company’s legitimacy is frequently being questioned by Nepal government as the whole basis of goods import of the company is said to be against Nepalese trade rights. What happens to the Revenue collected in Nepal? As the foundation of yoga and herbal treatment, as well as college in Dhulikhel, is something that we should be grateful towards Patanjali which is trying its best to spend the Revenue earned in Nepal inside the peripherals of the Himalaya. It is still not good for a multi-million dollars worth company to leave glitches like this which raise questions towards the existence of corruption inside Patanjali foundation as well as the motto of the company established for the betterment of common people of India and world. Founding Chairperson of the Non-Resident Nepali Association Upendra Mahato declared a donation of Rs 1 lakh for the mahayagya, while Patanjali Yogpeeth also committed to donating 5 lakh rupees.